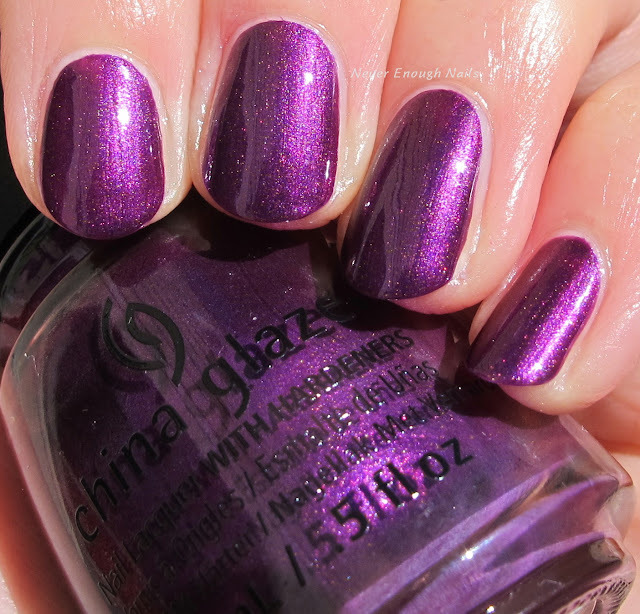 China Glaze Purple Fiction feels like exactly the right polish to be wearing right now. It's velvety and a little vampy, and just screams "November" to me. 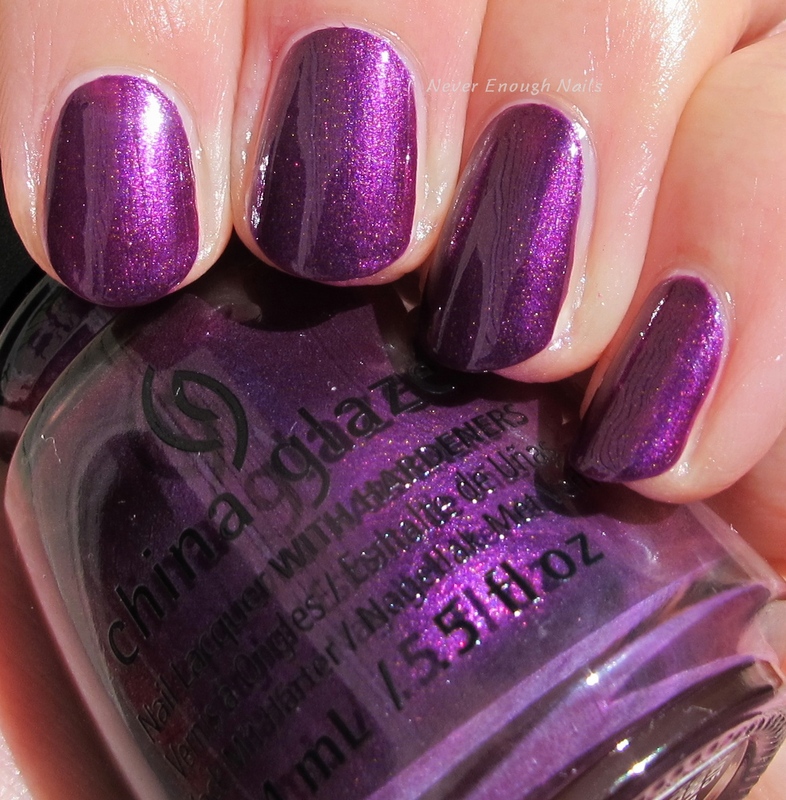 It's a fantastic shade of purple, nicely balanced with some red tones and some blue as well. The shimmer is the kind that glows too, just beautiful! I know I probably have similar colors, but I had to get this one anyway and I don't regret it! This is two easy coats of Purple Fiction. The formula was great and has a nice consistency. Have you recovered from Halloweekend yet? I am still refusing to take my decorations down. Just a few more days! 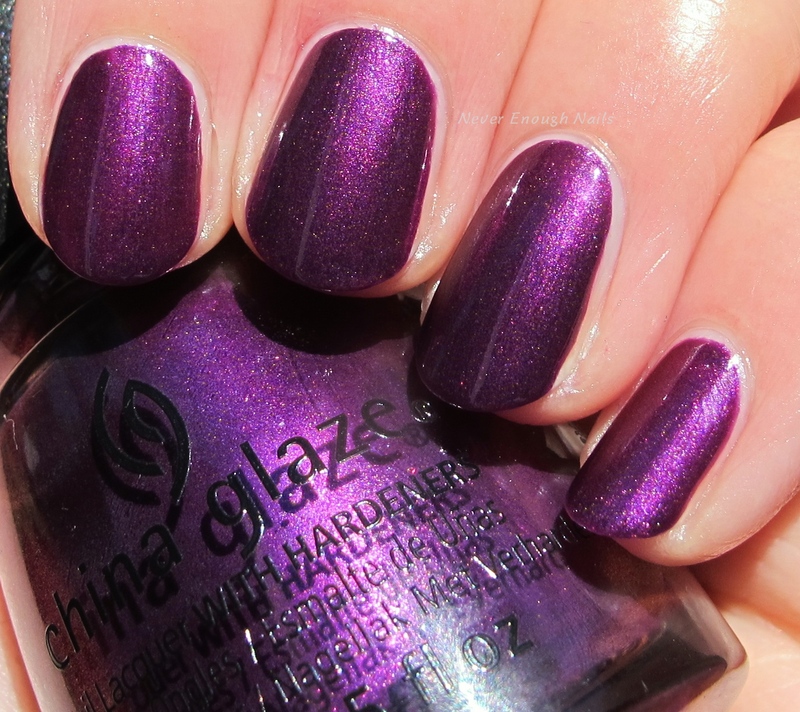 China Glaze Purple Fiction is available at Ulta and Ulta.com.